EAST NAPLES, Fla. A Naples Park man is accused of driving drunk with six children in the car, and his fiancee is accused of beating him. Corey Michael Hogsett, of the 600 block of 105th Avenue, was arrested around 10 p.m. Sunday night after he was pulled over at Radio Road and Esther Street. 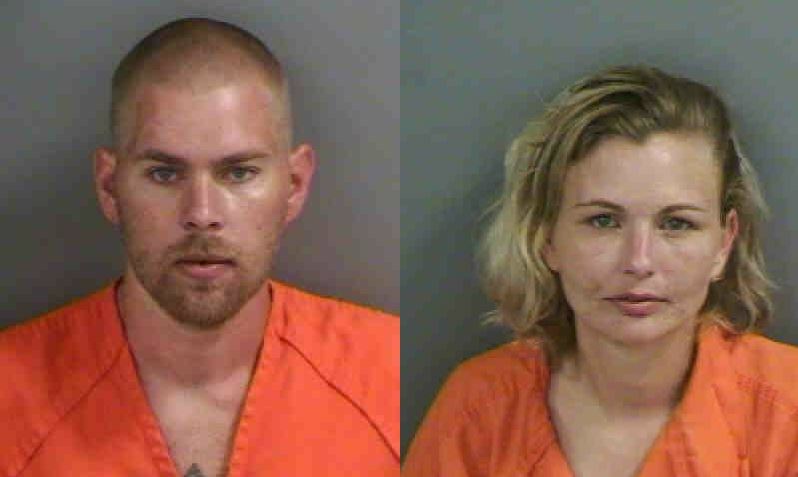 He told deputies he and his fiancee had taken the children to a haunted walk in Bonita Springs, according to a Collier County Sheriff’s Office arrest report. Deputies pulled Hogsett over because his car matched the description of one they were told was involved in a domestic disturbance, the report states. He had blood on his lips and the area around his mouth looked swollen, deputies said. Amber Nichole Payne, 32, of the 1000 block of North Alahambra Circle in North Naples, was arrested and faces a battery charge. All of the children were under the age of 12, according to the arrest report. None were hurt. Both remain in custody. Bond has not been set.